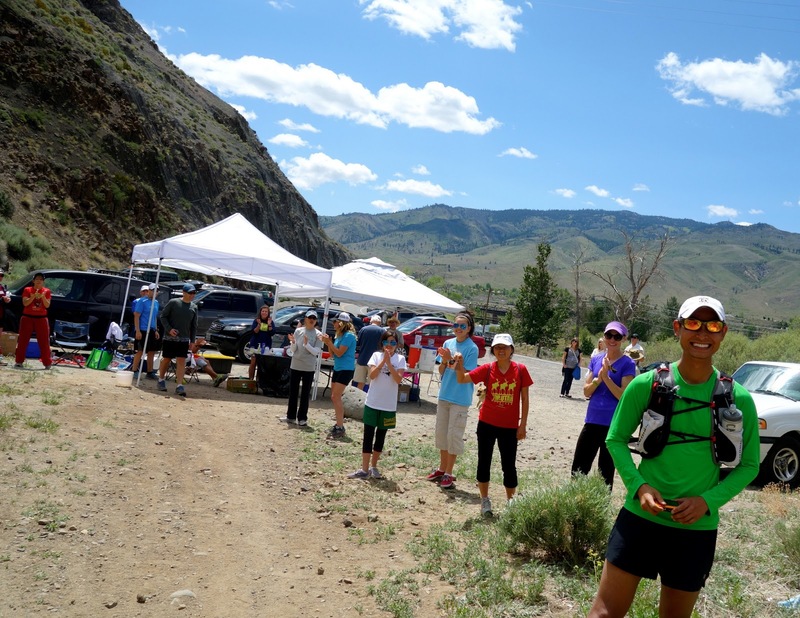 Check out this beautiful race recap video by Steven Foreman and Rainshadow Running about the Sun Mountain Race in Winthrop, WA. Looks amazing. Thanks, Eric! 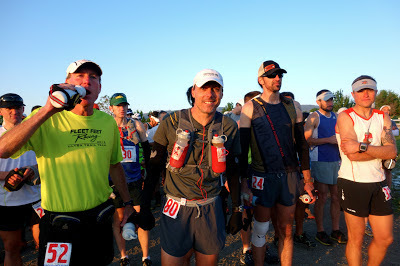 Sun Mountain Race from CuziFilms on Vimeo. 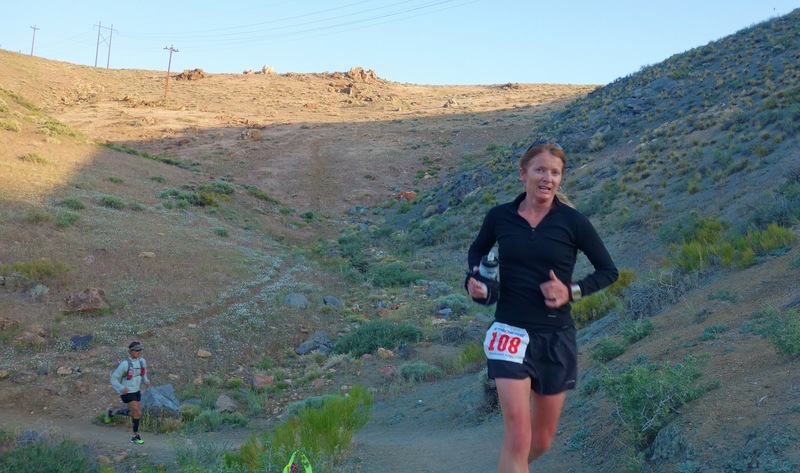 Sarah Lavender Smith, one of my favorite trail runner/writers and fellow Inside Trail Racing team member, did a Q&A with me this week and posted it on her site, TheRunnersTrip.com. It was a lot of fun! Check it out here, and be sure to leave her a comment if you liked it! 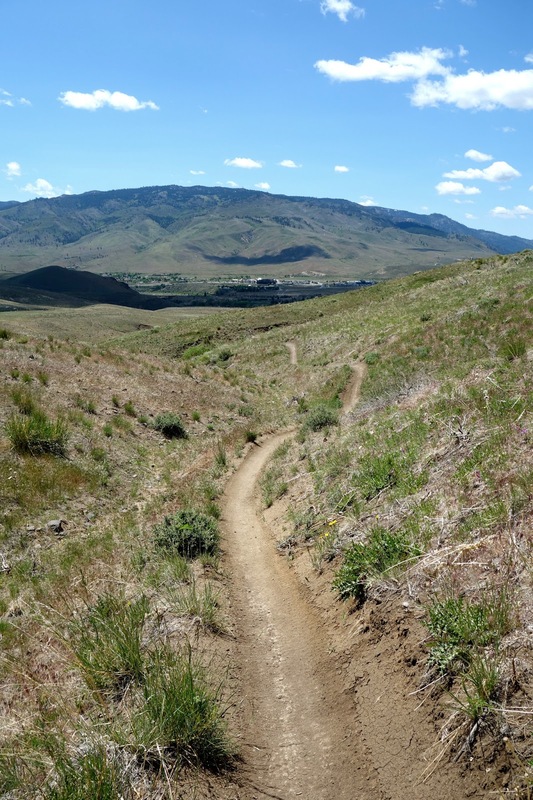 Hope you are getting out on the trails this weekend! 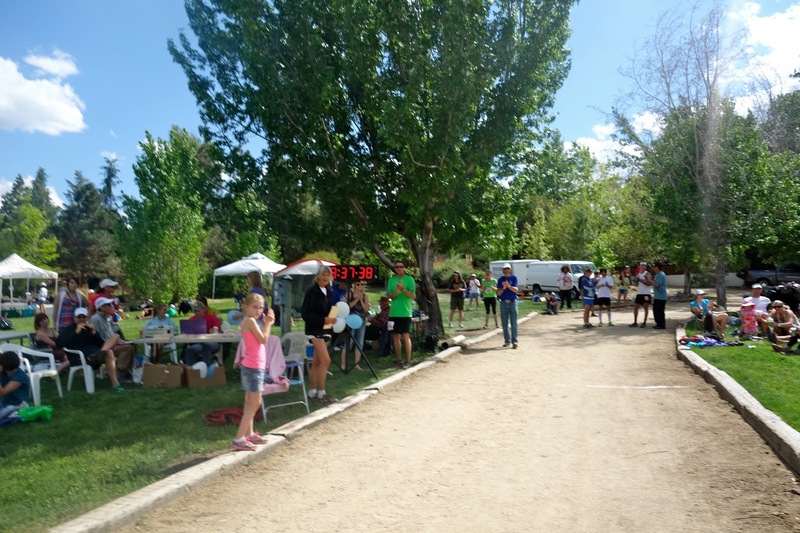 Last Saturday, 300 brave warriors stood together at the foothills of Rancho San Rafael Park near Reno, NV, shaking off the high desert morning chill. 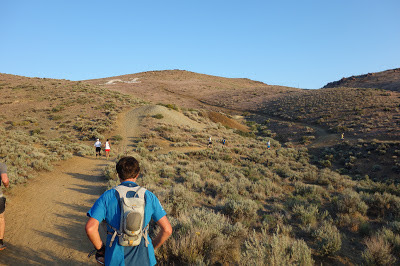 All eyes were on Peavine Peak, stretching 4,500' vertical into the clear blue sky, and the snake of trail leading to the top that would begin our journey. 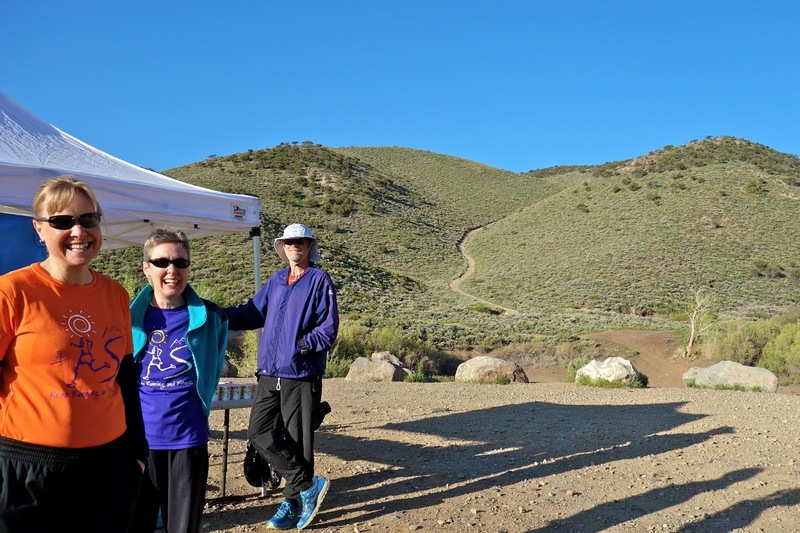 We were here to race the 28th annual Silver State 50-mile/50k/Half Marathon, a beautiful and hilly trail run put on by the Silver State Striders, and it was time to get moving! I met some familiar faces at the start, many of whom were getting their last training cycles in before the Western States 100m and Tahoe Rim Trail 100m (TRT), two big summer races with similar terrain. The 50-miler had ~80 runners this year, including Chikara Omine (fresh off his win at the Quicksilver 50m [6:11] last week and hoping his sore hamstring would hold up), local speedster Peter Fain (also eyeing States this year after cutting his teeth at the 100-mile distance with a 23:37 at Wasatch last Fall), Thomas Reiss (training for TRT), Joelle Vaught (the favorite in the Women's race), Mark Lantz (going for #9 States this year), Bob Shebest (training for TRT #3, after getting 3rd in 2010 with a sub-20 hour finish), Lon Freeman (also targeting States), Erik Skaden (States), and Jim Magill (already his 6th ultra since late February). At 6am, we were off! This was a cruiser race for me, hoping to sneak in a qualifying sub 11-hour time for the 2014 Western States 100 lottery without screwing up my last training cycle before the Chamonix Marathon. I don't want to end my streak as the most losing runner in the Western States lottery...7-time loser, SO PROUD!!! 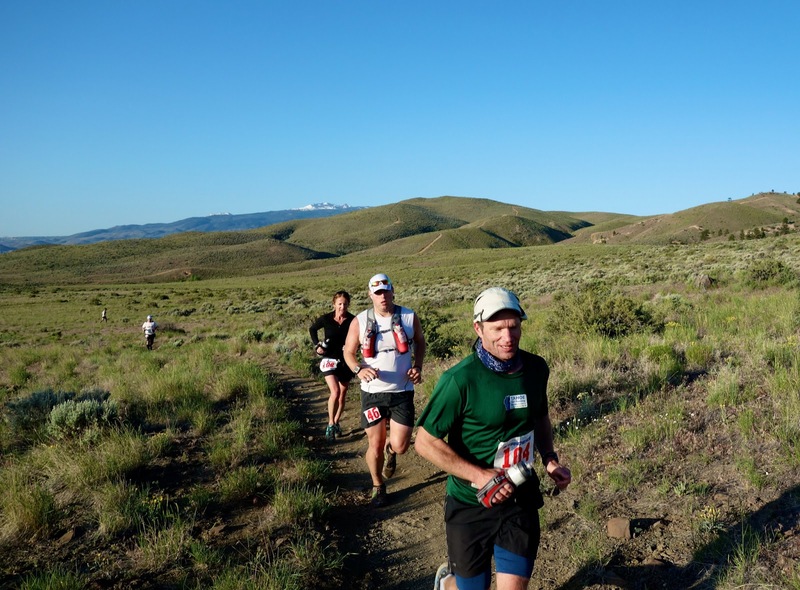 But it was nice to start the race knowing I had time to relax, take some pictures, and literally stop and smell the flowers. 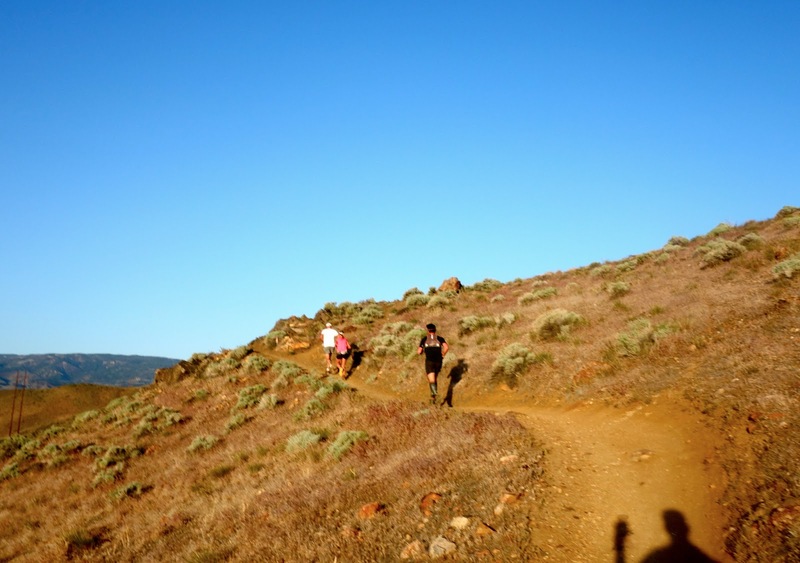 After a few miles in the shadows, a long line of runners broke into the sun and spread out. Chikara, Bob Shebest, and Peter Fain set the pace up front and soon were out of reach. 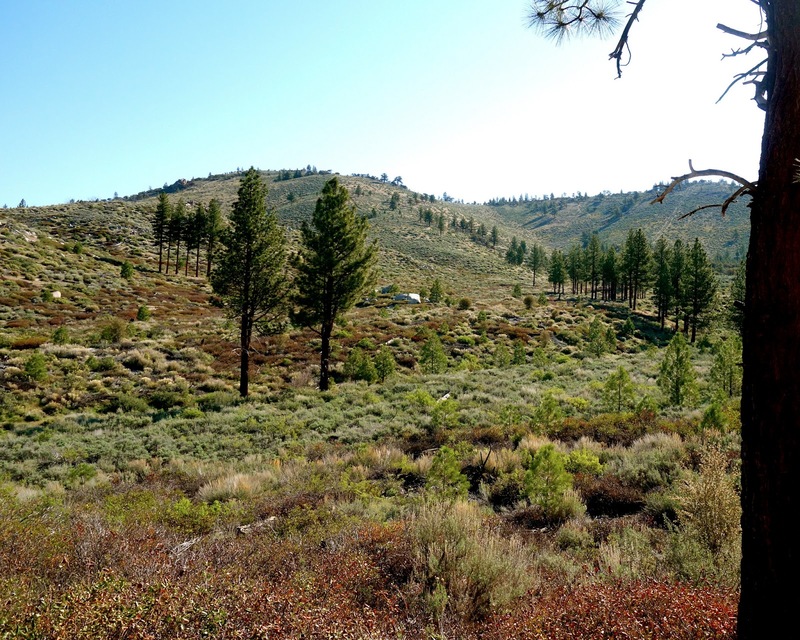 In fact, it didn't take long before all of us were so spread out it felt like we were alone! I paced along with local runner Lisa Daane, tackling her first ultra after having her son just nine months ago. I love how new Mom's have such a high pain benchmark that a 50k just isn't enough...gotta go big! 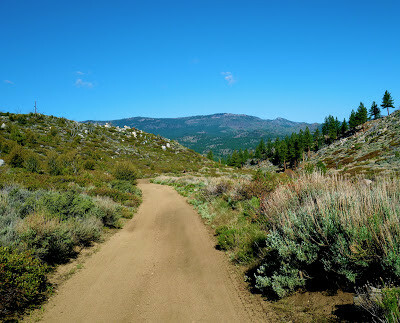 The trails in this area are amazing, alternating between fire roads and single track, and all of it runnable. By the time we cruised through The Pond aid station (mile 8), civilization was a distant memory, replaced with vast stretches of desert grass sprinkled with wildflowers like the red paintbrush, blue violets, and purple sage. My soul drank fully from Nature's cup! 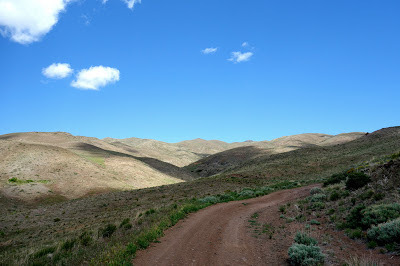 I walked a good chunk of the climbs, keeping my heart rate under 145 (my aerobic threshold) as much as possible. 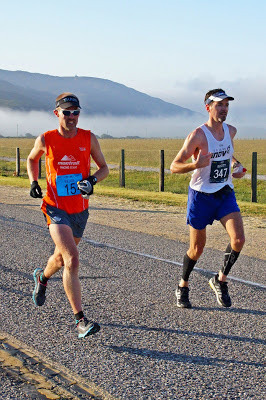 That was easier on my knee too, a minor soreness that appeared soon after Big Sur, and likely due to too much road racing. 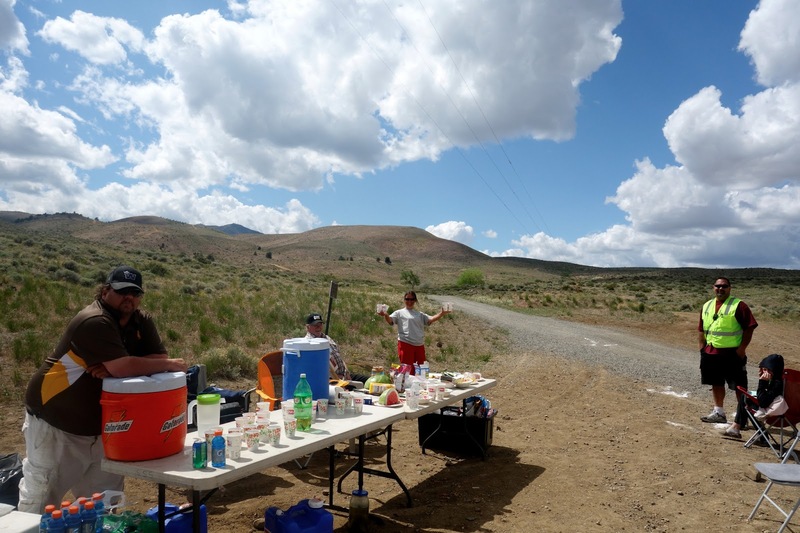 The liquids were going down fast, a sure sign of the dry, high altitude conditions, and we reached Peavine (mile 11) just as our water bottles were down to the final slurps. 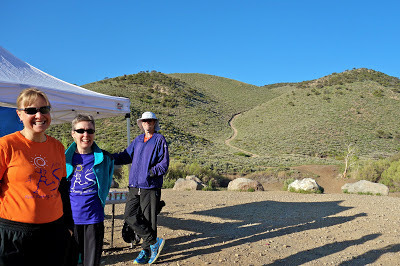 George Ruiz and his gang of super-volunteers got us set up, and we descended down into the back country. I shuffled along with Jay Kincaid, a local runner from Reno, who suggested walking a few steep hills so we don't un-Gu our stomachs. 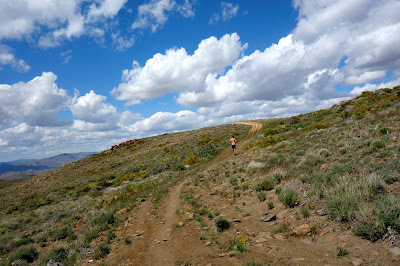 It had warmed up to the low 70's, so the heat was becoming a factor, but we did have some occasional cloud cover that seemed to hover right with us down the single track. We're surfing cloud shadows! I picked up the pace a bit along with Taylor Valentino, who entertained me with stories of his studies in Exercise Physiology and endurance recovery techniques. 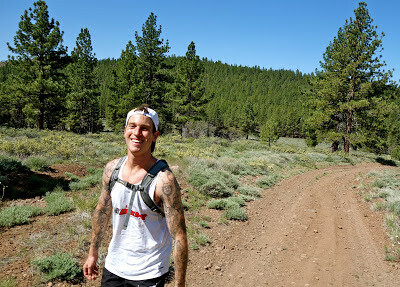 Taylor was really looking forward to helping out the great Dr. Marty Hoffman at Western States this year! 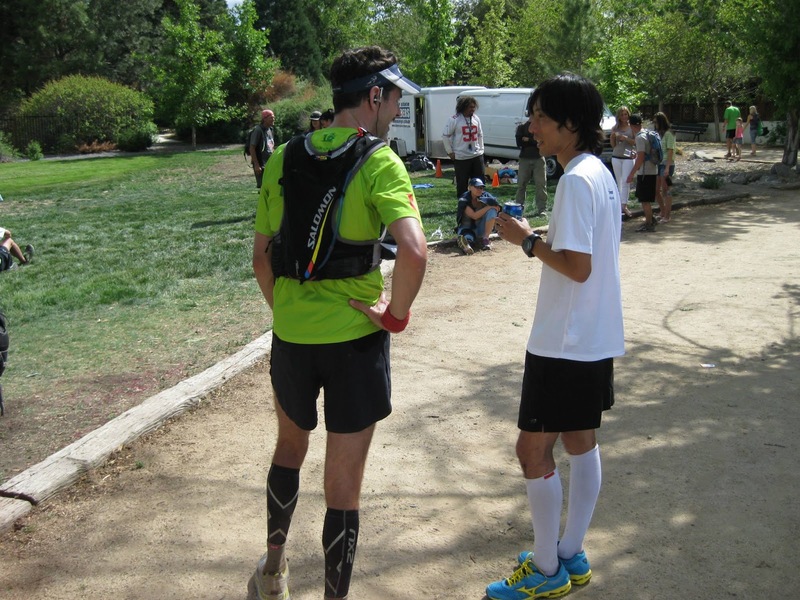 Given what he is studying, I suspect his thesis will be a must-read for ultrarunners. 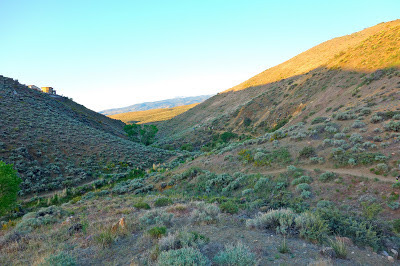 I took it easy on the long descent to River Bend (mile 33), where the volunteers helped me swap out my hydropack and pointed me back up towards Peavine. One more big ascent bottom to top, and it's all cruising from there! 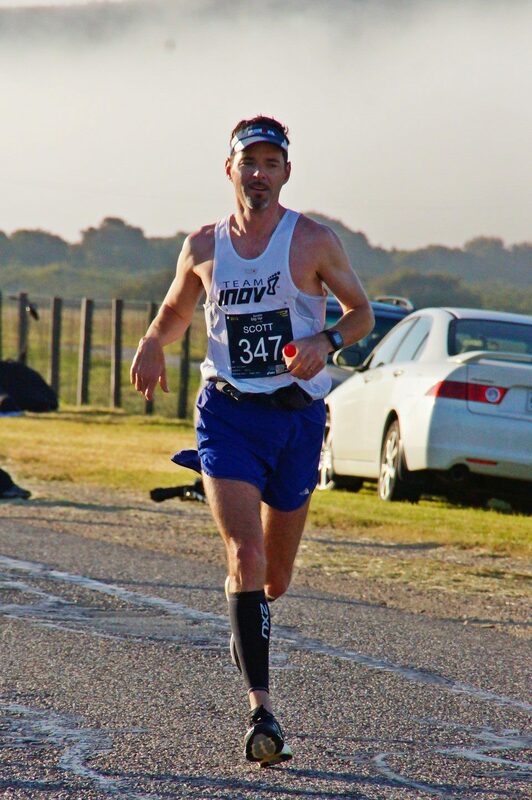 I was just under six hours, so looking at a comfortable 9:30-10 hour finish. The clouds started to come in more frequently, giving us a bit of shelter from the noon sun, and we started into the climb. I caught up to Eric Frome, and after chatting a bit we figured out that we had lived in the same area of Portland, OR, within a few blocks. 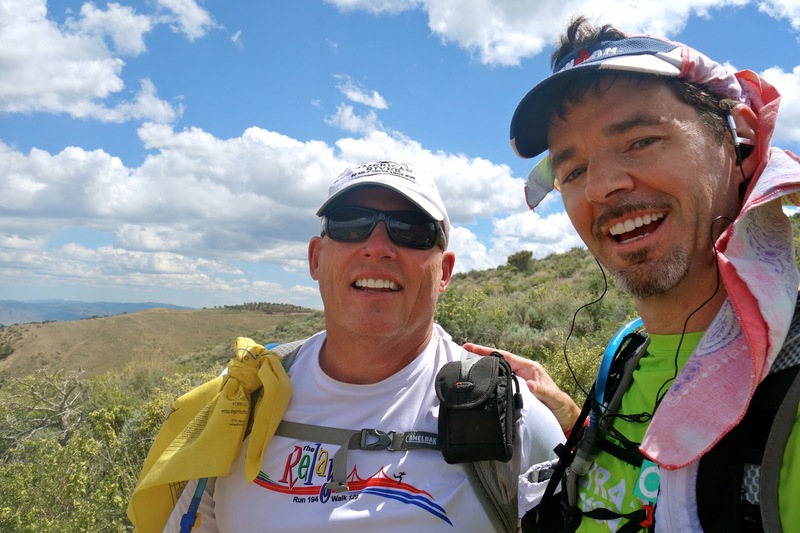 Eric was training for the Leadville 100, his first 100-miler, looking to add to the family legacy started when his father did Leadville nearly 30 years ago. We chatted for an hour, making the climb go by quickly, and even found out that he had finished the 2013 Boston Marathon just 17 seconds ahead of me. 17 seconds?!? How strange is that? 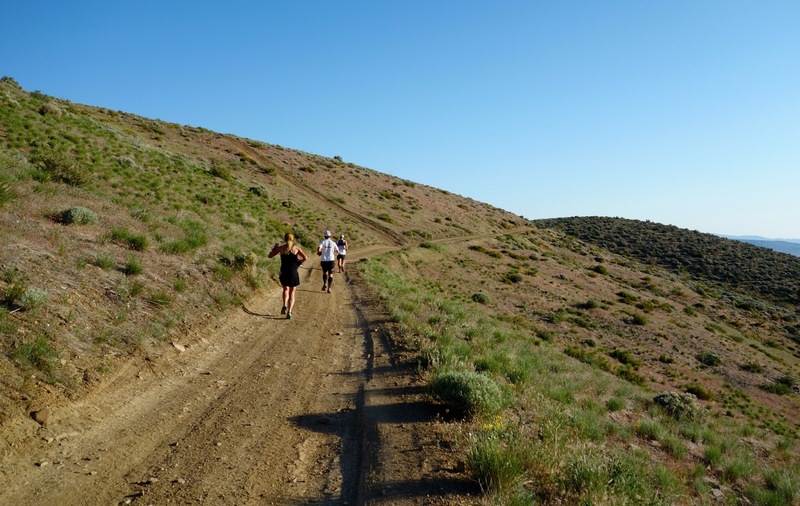 Out in the middle of the desert, I'm running with a guy that probably next to me for all of Boston. Josh Owen and Joshua Marks, two more Oregonians, caught us on the final climb and we all got a big refill at Peavine (mile 39) before the long descent. 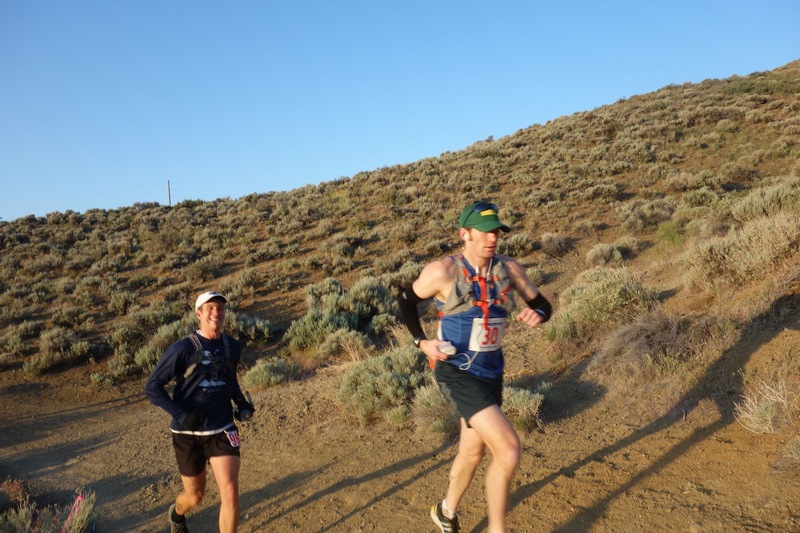 I leaned into the hill to chase after the pink top of Lynn Vanscholack from Meridian, ID, whom I had been seeing for the last four hours. My guess is that she and Lisa were duking it out for 2nd Female, with Joelle likely leading. 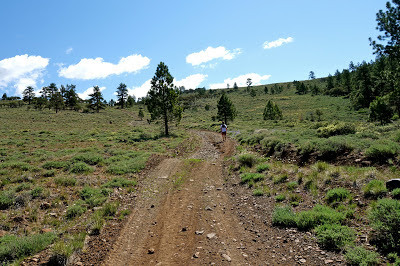 The Oregonians bid me farewell, and the wind swept me down the single track. 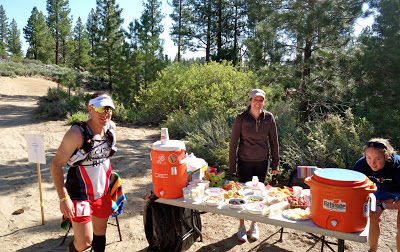 I caught Lynn at the Ridge View aid station (mile 44), who was smiling but suffering from pushing the last climb. When she heard we had 10k to go, she said "no problem!" and we headed out. 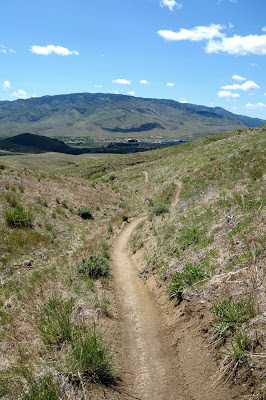 The last few miles of single track were so much fun - just enough incline to lean forward and bank those turns. 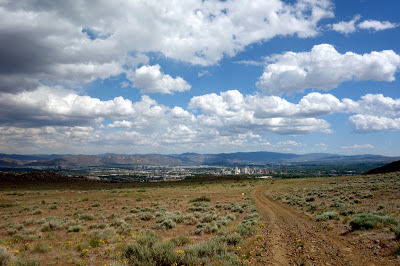 I was actually a little bummed when downtown Reno appeared on the horizon - darn, we're almost done! 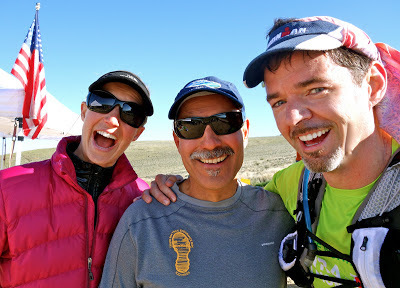 There was plenty of folks handing me beer at the finish, and I chilled out with Sarah Syed (tackled the 50k today) and Mark Lantz as we cheered on fellow runners and snacked on ice cream. I gave a final thanks to John Trent and the Silver State Striders for inviting us once again to frolic in the Sierra Nevada mountains. Such a great day! 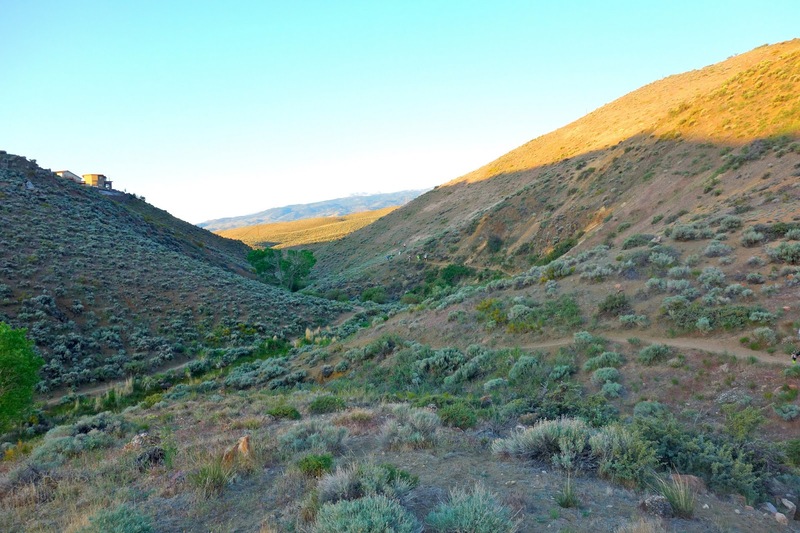 I headed home with the windows rolled down, breathing the sage-filled air deep into my lungs. Refreshed, renewed, and replenished. 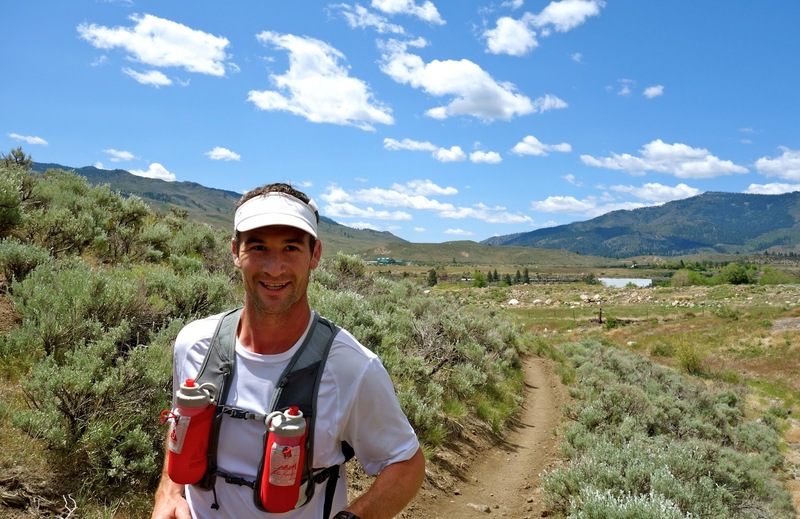 Ultrarunner and hotel/restaurant magnate Karl Hoagland has acquired Ultrarunning Magazine, and will be taking over as its Publisher starting with the July, 2013 issue. 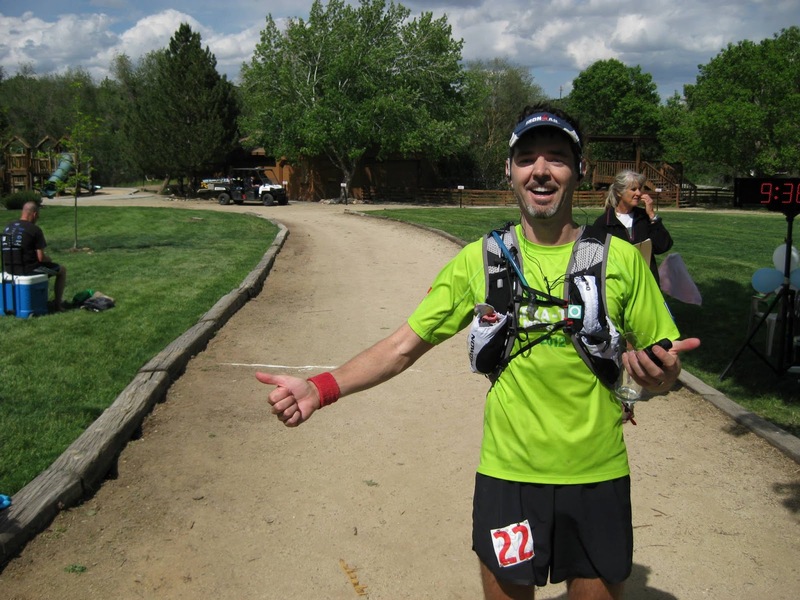 Hoagland is no stranger to ultrarunning, having finished over 40 ultras including a 15th place at the 2010 Western States 100 (he also serves on the board of WS). 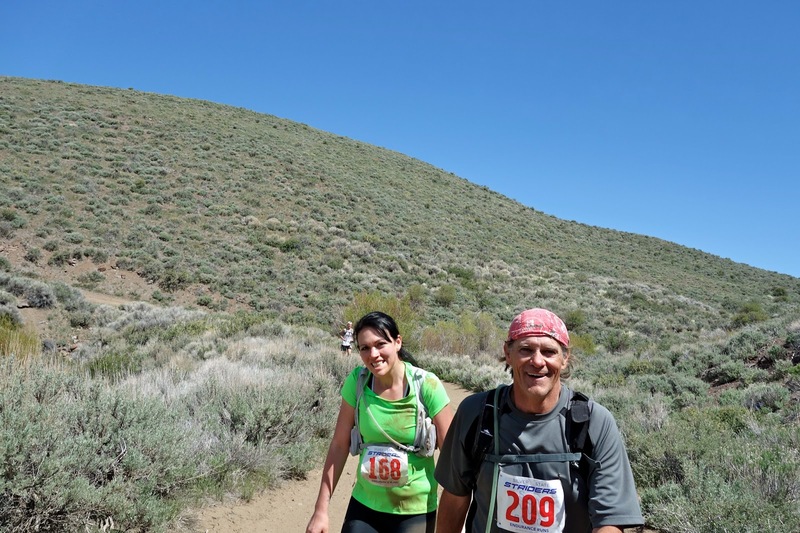 Retiring Publisher John Medinger along with his wife Lisa Henson, who has been UltraRunning’s General Manager, will remain involved with the magazine as Correspondents at Large, contributing content on a periodic basis. 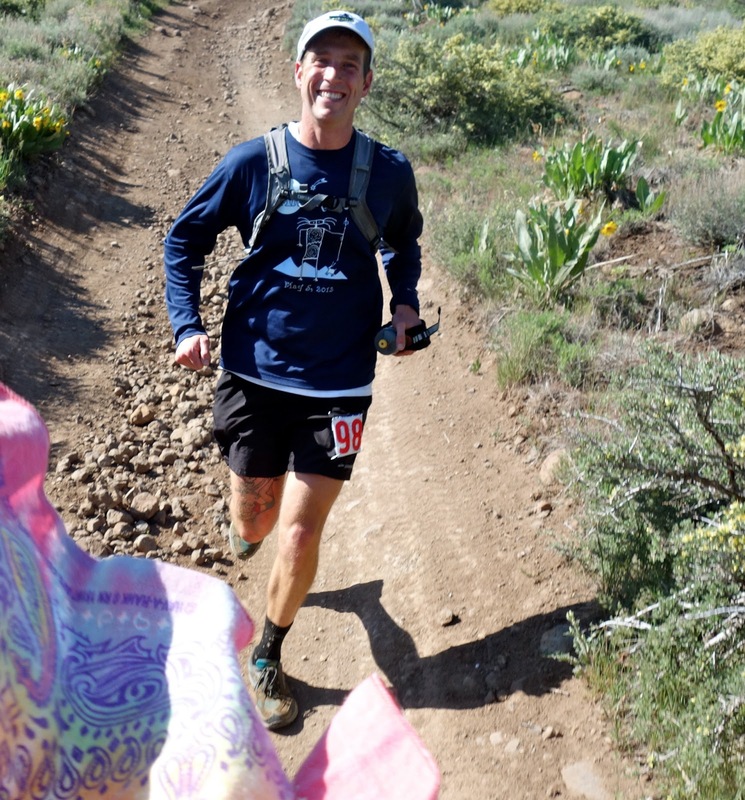 John will also continue as the Race Director for the Quad Dipsea (which he founded 30 years ago) and the popular Lake Sonoma 50. Managing Editor Tia Bodington will retain her position with the publication, as will Subscriptions Manager Carol King. 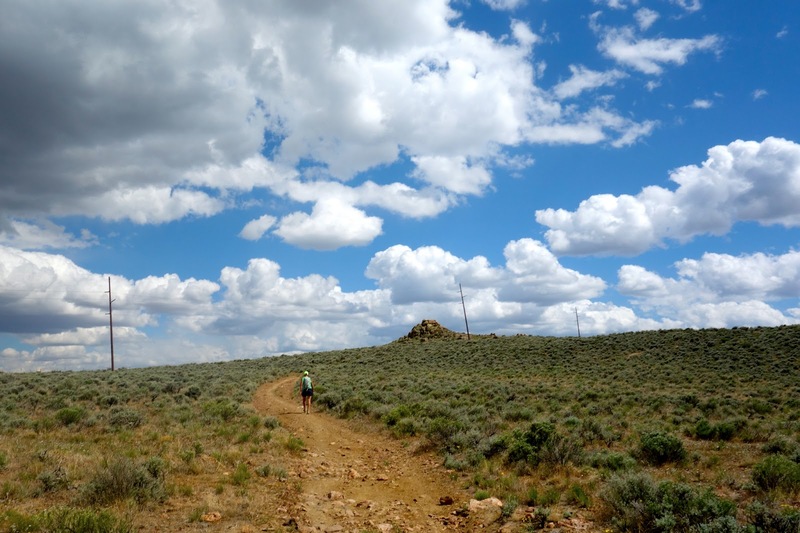 Ultrarunner Erika Lindland will join the team as a Contributing Editor with responsibility for race content and the magazine’s on-line content and presence. Photographer/filmmaker Matt Trappe shot an amazing video for Injinji at the Lake Sonoma 50m this year. 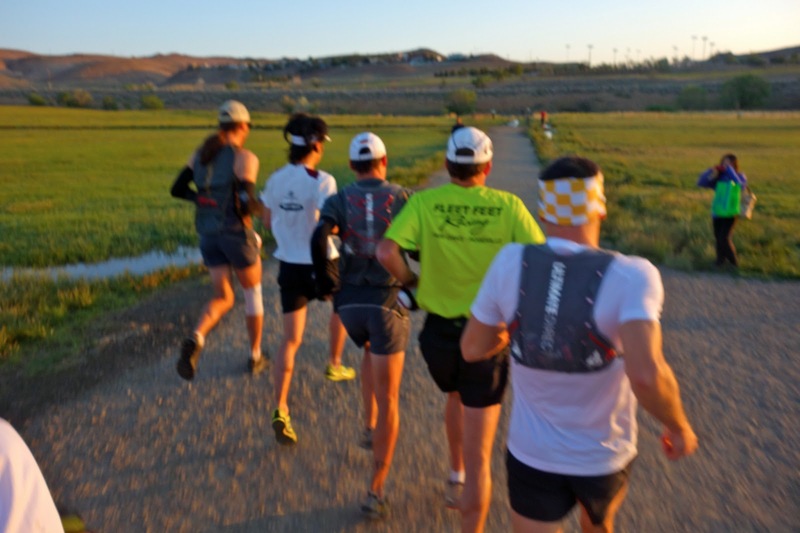 Great footage, and commentary from Dave Mackey, Timothy Olson, Meghan Arboghast, Galen Burrell, and Jacob Rydman! Couldn't agree more. I've been blister-free in Injinji's for nearly a decade now. Truth in advertising, brought to you by SNL. …but worn by chubby white guys in their late 30′s to early 40′s. My friend Johnny Lee said it reminded him of this clip from Crazy, Stupid, Love...another great NB nerd reference. Friday, 10:44am: Kids asleep in the car, and Christi is a flurry of thumbs on her iPhone as I pilot the two-hour drive to Carmel and Big Sur. Birthday weekend is off and running (#44! ), and we've got a full agenda. I'm looking forward to feeling worlds away on the edge of the earth. The silence is precious. Friday, 3:08pm: Wide-eyed girls stare into the sea at the Monterey Aquarium, mimicking sea otters and giant crabs with funny voices. At ages 6 and 2, they play together more often now, and it catches my breath with joy every time. Runners stroll everywhere, many wearing the blue and gold of Boston, and our stories of the bombings we witnessed two weeks ago become more and more abbreviated. 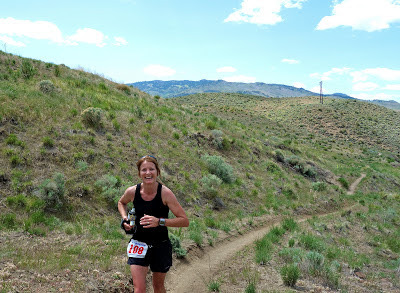 I was at a bar, she was stopped at mile 25, they were in the finish tent...no elaboration required since we've shared them all in the last 13 days. A fit Michael Wardian swoops by with his boys, and he's the fastest of ~400 doing the Boston 2 Big Sur Challenge. A best combined time means more to me this year, and I want Top 5. Let's bookend those Boston memories with style. 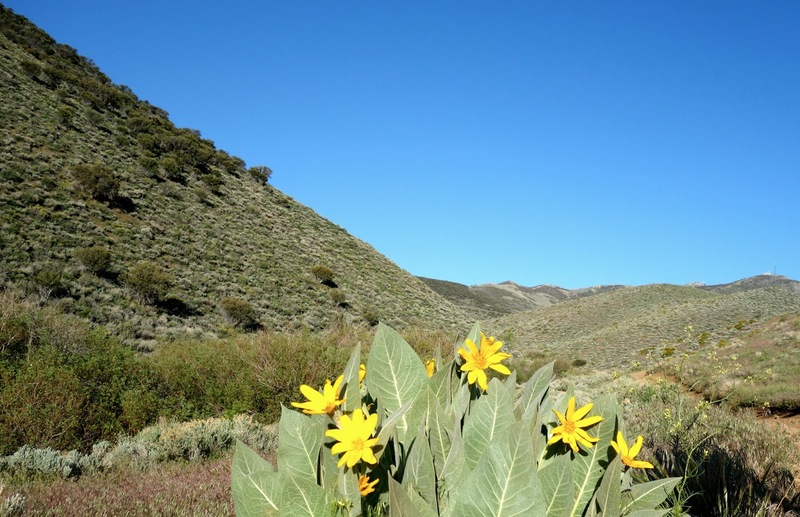 Saturday, 1:15pm: Sharing Coronas at Nepenthe with Kik Armstrong, Paige Alam, and friends, staring over the cliffs. I gained a full pound in one night of birthday fine dining revelry, but it was worth it. Gluttony is always a welcome guest at my annuals. We're near the starting line for tomorrow's race, and the 25-mile drive along the course did little to ease worries of the first timers at the table. We visualize the race - redwoods, wind, the climb at Hurricane Point, Bixby bridge, Carmel Highlands, beer and strawberries at the finish. It's guaranteed adventure no matter what the weather. Quinn, our 2-year-old, eats an entire stick of butter when we aren't watching, guaranteeing gag-worthy diaper changes on the hour all day and night. Good times. 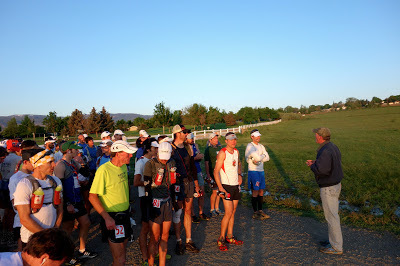 Sunday, 6:45am: In the starting corral catching up with friends, trying not to worry that a hole in my bag resulted in a lost phone, no camera battery, no electrolytes, and no sunglasses. What-evah. There is no place I would rather be, and my smile knows it will be over all too soon. 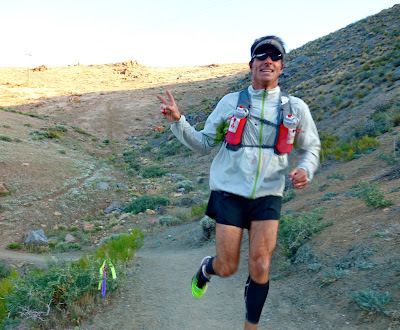 Defending champions Adam Roach and Nuta Olaru look fit, as does Wardian (only guy I know who can run sub 2:30 in Hokas), Ian Sharman (a California resident once again), Oswaldo Lopez (everything is easy after Badwater), Runner's World's Jeff Dengate, Brian Rowlett (50 and still fast), Chris Eide (go Team ITR! 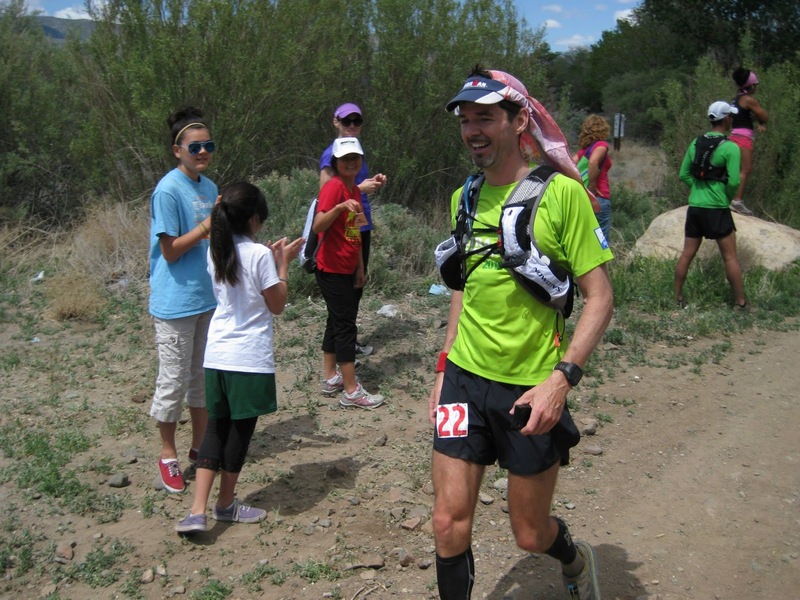 ), Michael Jimenez (signed up yesterday), Sean Meissner (Durango-acclimated and faster than ever)...I am in quick company. A tearful moment of silence for Boston...it still feels fresh...and we are released along with the doves. Sunday, 8:11am: Brian Rowlett lets out a happy yawlp as we cross Bixby Bridge (mile 13.1, 1:26:20), just as the lead women catch us. 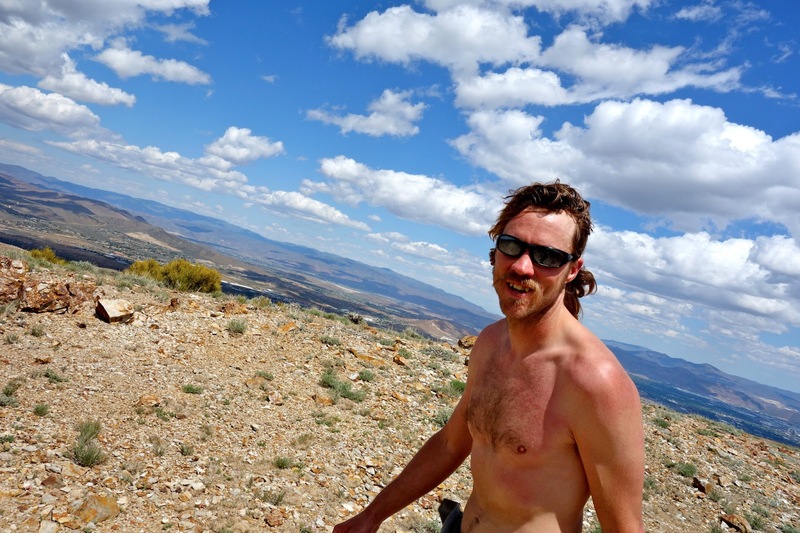 I'm getting a lot of help in the first half, working with Sean Meissner in the wind, and pacing behind Brian up a very windy and foggy Hurricane Point (Brian holds the Strava record for this climb). The mountains stretch to the sky like Middle Earth, and Brian tempts me with tales of old trails just a few steps away. 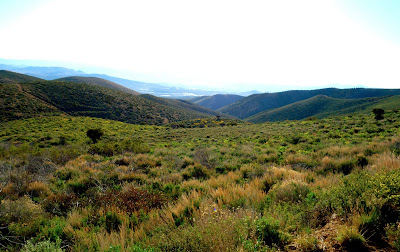 The green and golden fields are barren of birds and cows....unusual. The grand piano sings to the seals. 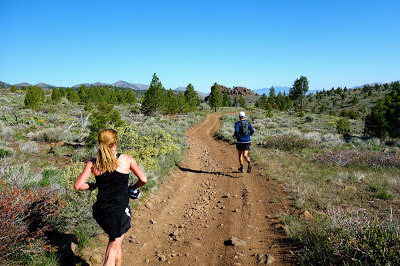 Sunday, 8:45am: For eight miles I've been working with Nuta, the lead woman, heads down on a 2:50 pace. She's all business, I'm just hanging on, and our silence is evidence of a pace near our limits. My legs (heart?) feel heavy from Boston, and Nuta drops me as the hills of the Carmel Highlands (mile 21) rise from the coastline. Hundreds of joggers and walkers cheer us on, claiming Hwy 1 from the cars for an afternoon. I get a baseball-sized strawberry that takes six bites to eat. The juices stain my lips and cheeks blood red. Sunday, 9:37am: I find the finish in 2:52:13 for 19th place, my best time here, but 2 minutes short of a top 5 in the B2B Challenge or my age group. My girls are smiling at the finish, a wonderful treat that instantly whisks away material desires. Adam Roach (2:27) and Nuta Olaru (2:50) repeat their wins, and everyone is in good spirits at the finish festivities. One sip of beer and a handful of strawberries, then Quinn butters up her last diaper to the seams and we have to depart. Sunday, 1pm: I am woken from a post-race nap by the whispered laughter of girls, already in swimsuits, swearing I promised them one last romp in the hotel swimming pool before heading home. The air smells of lilac and lavender, the birdsong has returned. My wife is effortlessly beautiful, smiling with her eyes from behind her book. Am I dreaming? My life is a dream.